TheRustedChain - The Blog: New word, New Year, welcome 2013! New word, New Year, welcome 2013! I love doing this too and for the past 2 months have been thinking about my word. One of the best things is when a word appears to you again and again, to the point you KNOW it's meant to be used. 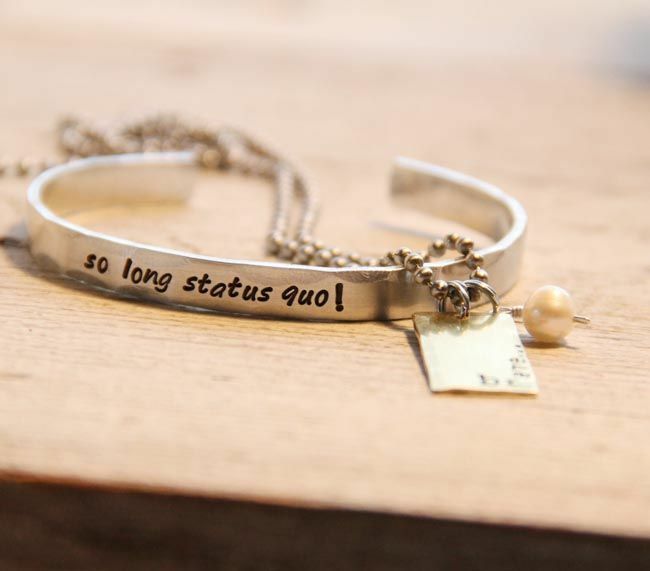 My word is mostly inspired by the phrase from my friend Nichole Nordemen's song Brave - "so long status quo". 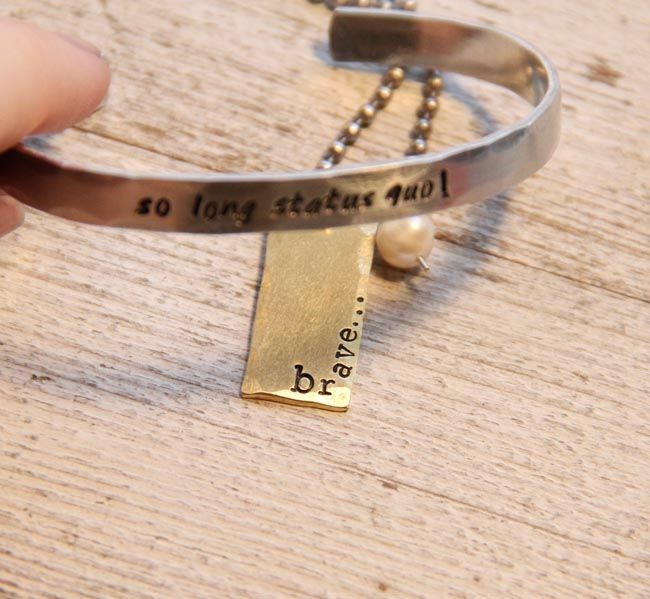 So I made a skinny bracelet with that phrase. 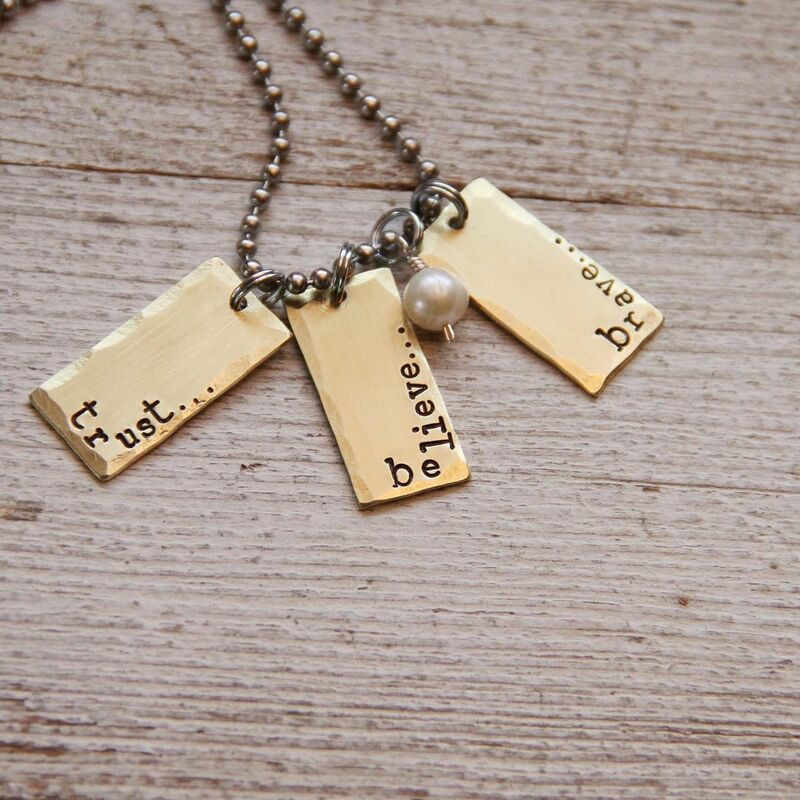 And I made our new Word Of The Year necklace with the word Brave. So.... what's your word of the year? I chose grace...I need it and I need to remember to give it! 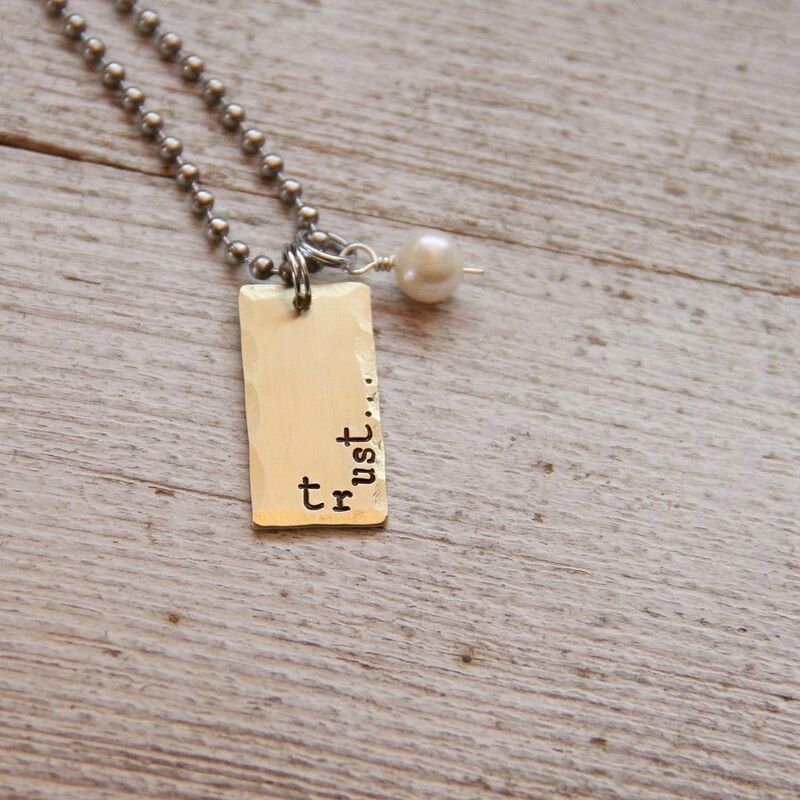 My word for the new year is Trust. I just want to say thank you beyond words for my recent win in your $50 giveaway. The necklaces I won are so lovely. My word this year is Blessed. When things get bad I need to remind myself what good I have in my life.